Home › Blogs › Stories & Adventures › Reunited and it feels so good! Bringing that little foal home was magical. It turned out that he was not white, just a beautiful light shade of palomino. We named him Teaguer, the nickname that the islanders have for themselves. He taught me everything I know today about horse care. Obviously a half-wild foal is not the most ideal first horse for fairly inexperienced young girls but we were lucky in that he was an excellent baby. Teaguer and I 11 years ago. Teaguer was only about 6 months old and I was 16 years old! 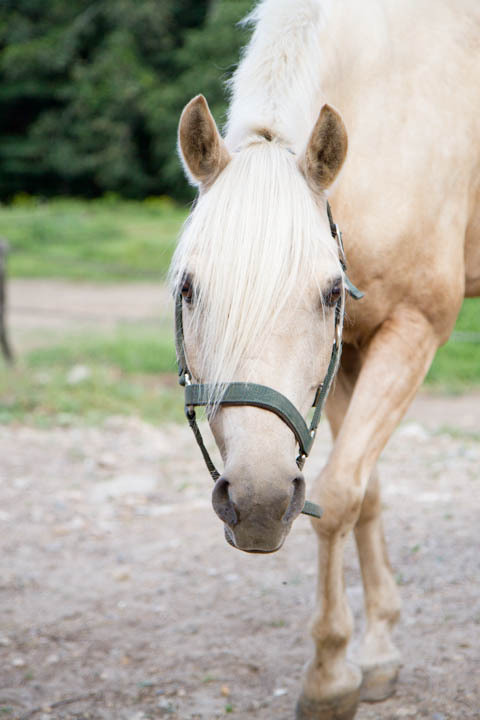 However, as he grew older, it become increasingly obvious that he was going to be quite small – and in the meantime we had gotten another Chincoteague pony who was going to be much taller. My sister and I are both very tall and realized that perhaps we should find Teaguer a home where he could get the training and riding he really needed. He was an adorable, fancy little mover and we thought he would be great in the hunter world. With sadness, we put him up for sale. Once again, we were lucky and found our pony a great local home. We became friends with his new owner and went to many of his shows and cheered him on from afar. He was very successful in the local hunter circuit and everyone thought that Pony Finals might be in his future. Then he foundered. Badly. It was strongly suggested that he be put down. However, thanks to his owner, one determined vet, and a strict health care regimen, Teaguer bounced back, eventually sound and happy. All was right in the world until his owner sold her house and had to make some quick decisions. 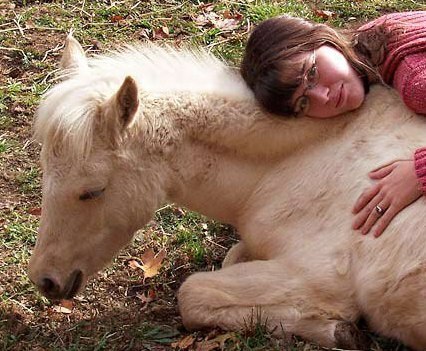 She cares about him as much as we do, and was worried about the fate of a sensitive, chunky little pony prone to founder. So, when I got the phone call where she offered to give him back to me, without a doubt, I knew I was taking my little white pony back. He could live out the rest of his days doing whatever made him happy. He came home the day after my birthday this year. 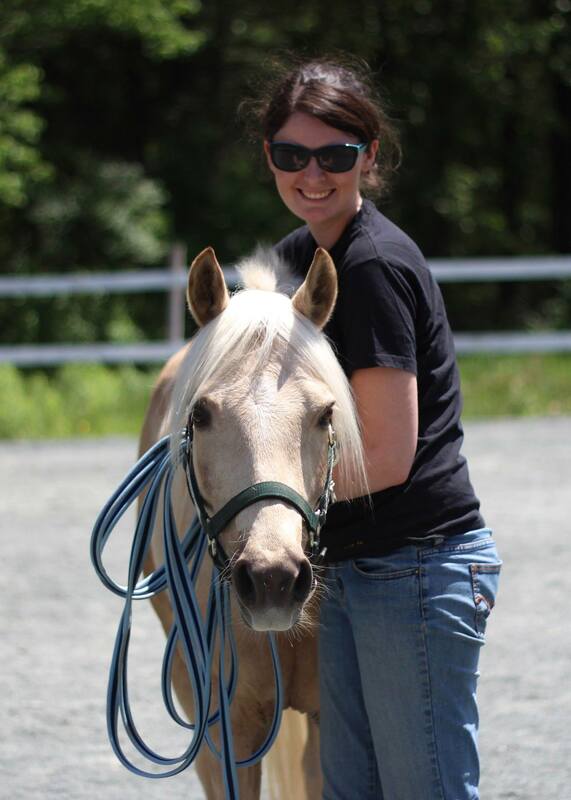 Eleven years later, it was just as exciting to know that he was mine again as it was the first time, and I look forward to many more adventures with my pony! Teaguer and I in June, 2013. That is what it is all about. Congrats to you both!! This is such an incredible and loving story. You and your sister were so lucky having every little girls dream come true! I saved up my money for years to buy my first horse and finally in fourth grade I had raised enough. After trying every sport in the book, I finally convinced my parents that horses were my passion. I still own my handsome boy Slapshot to this day. Thank you so much for sharing! He is a beautiful little pony. And I love the old picture with you and him with the current picture! A great story. I must admit I shed a few tears of joy. I love all animals the tame and the wild the good and the getting better. All animals have a reason to be on this earth or they would not be here, just like humans. 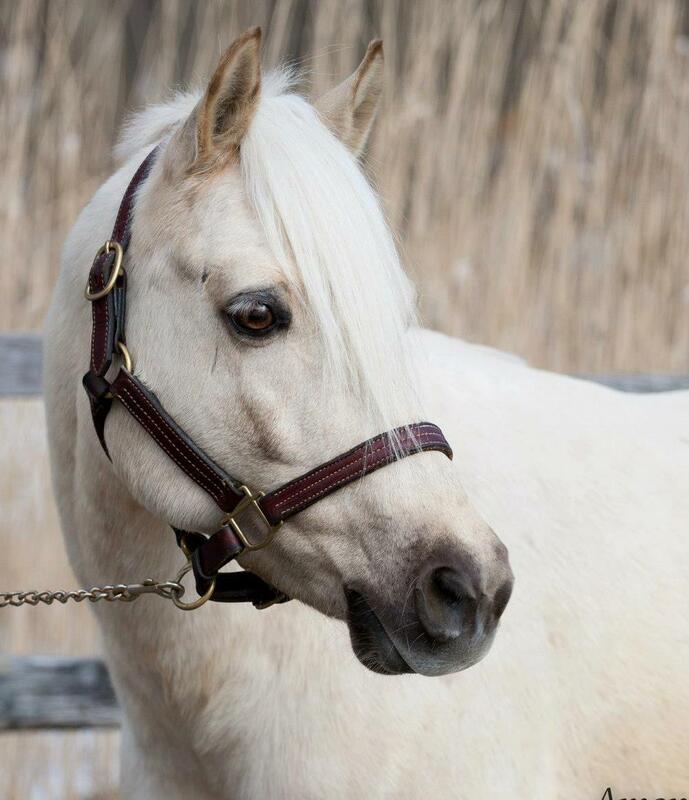 Beautiful pony and beautiful story!! Thanks for sharing.